I’m a history teacher and films about a historical event or people are important to me. I wish you could hear the conversations I have with my students about the past and their opinions when introduced to the culture and state of affairs in films. Scholars are apt to criticize the inaccuracies of historical films, but I believe many filmmakers spend great care creating the historical climate from which the audience can experience the past and recognize the universal truths therein. Take The Patriot (2000) for instance. 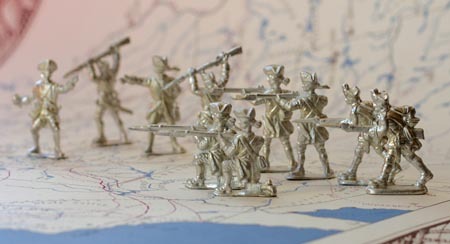 This week the topic was events leading up to American Revolutionary War. We analyzed primary documents of Thomas Paine and Patrick Henry and watched the film. As movie buffs, you and I have seen the film and can list all that’s wrong with it. However, I enjoy talking about what works by pulling out what is correct and hearing the fresh impressions of my students. Here’s my new feature called History in Films. It is not meant to be a traditional film review, but an offering how historical films attempt to create the historical climate and how they influence the audience. I invite your comments. Here’s one aspect of the film’s success. Why not listen to the score by John Williams while you read? Mel Gibson’s character, Benjamin Martin, avoids fighting in the Revolutionary War to the bewilderment of his friends and sons. As a single parent, he doesn’t want to make them orphans and as a veteran of The French and Indian War, he has seen the horror and does not want to engage again. As the movie progresses, he experiences loss and joins the South Carolina Militia. In this film, Benjamin Martin is a father. Mel’s acting is believable when he contorts his face, squints, and swallows hard especially when his oldest son dies. “Gabriel, don’t go!” makes me tear up every time I watch the scene. The battle scenes, reenactments, costumes and props are impressive. The following interview explores 18th century warfare by the principle cast members. Wars in film generally grapple with two opposing viewpoints. Side A: The glorification of war makes it a test of manhood and a virtuous act to show patriotism and loyalty. Side B: War is futile, senseless, and the loss of innocence horrifying. To answer the question of why we war, the use of symbols in the film, while obvious, still makes the film good. Gabriel, whose convictions are clear, takes a tattered flag and repairs it, the very action suggesting he’s doing his part by holding the fledgling country together. His conviction and patriotism convinces his father to “stay the course” out of respect for his son. It is an interesting irony that the son teaches his father the purpose behind the war. No head of country should have the right to control a person’s life as a matter of policy or random impulsive decision. That is a principle worth dying for. Another symbol in the film are the lead toy soldiers painted and played with by son Thomas. His idealistic hero-worshiping of his older brother causes him to act rashly. The loss of innocence is represented through the toy. His toys are melted and reshaped as musket bullets and function as sweet revenge. In death, Thomas becomes the soldier he dreamed of becoming. Cheesy? Sure. Effective? My high school students loved the film. And, it pulls the thread of Benjamin Martin’s role as a father first and fulfills the prediction Benjamin made at the beginning of the film that the war would be fought on the front lawns and “our children will bear witness to it.” The North Star necklace and the tomahawk are effective props and symbols, too. Yes, Colonel Tavington was too evil, too one-dimensional. 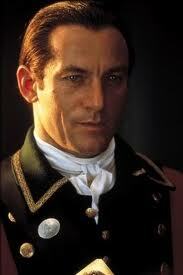 But Tom Wilkinson as General Cornwallis was perfect. Yes, most of the characters’ dialogue was contrite and predictable, but I’m always glad to see a film with Heath Ledger in it. 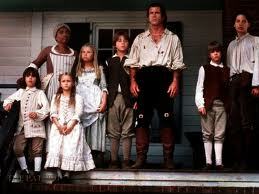 It’s a great film for students to discuss the issues and catch a glimpse of 18th century Colonial America. My favorite scene is when the Captain has to burn down the church with the villagers inside. Tavington reminds him,”Didn’t you say all those who defy the king deserve to die a traitors death?” It brings up the topic of convictions. They are easily said, but when it’s time to walk the walk, convictions become cloudy. Are principles worth dying for? Is freedom free? Thanks, Vinnieh! Awards are fun; I love your blog and appreciate our mutual admiration as movie buffs. Ta! Boy, I watched this movie, what feels like, ages ago. It feels as if I watched it back in the 90’s as a teenager, even though it only came in 2000. Back then I felt it was pretty good (though not excellent – I gave it a 7/10 rating on IMDB). You’ve pointed out some really interesting facts. I like the two sides of war you’ve mentioned. About patriotism, it’s good when there is a need for it; but there is something called a fake sense of patriotism as well, and false pride. For example – Hitler mentality (that was patriotism – but a wrong brainwashed kind). But this movie, ’cause it’s about a fight for freedom, works well. Let’s hope someday the world would be a completely peaceful place to live in. Now, actually I would love to re-watch it after reading this and watching the interviews. John Williams score is beautiful. I listened to it while I read the rest. 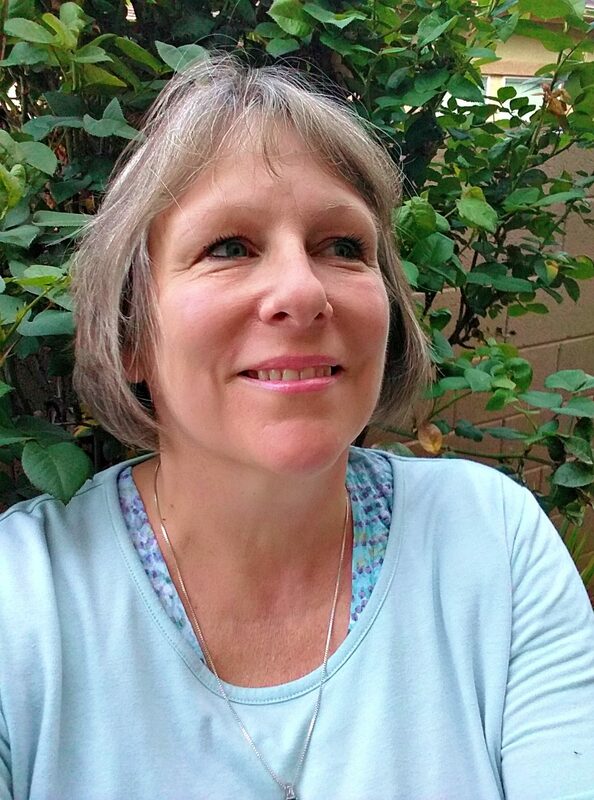 Wonderful write-up and new feature, Cindy! I enjoy reading history and most of the films that come from that (dramatic license usually doesn’t give me a problem, except in a few rare instances). I enjoyed this film and did make me want to read up about the real characters behind their screen counterparts. Yes, Jason Isaacs was mustache-curlingly evil here, but that’s what the filmmakers wanted, and he certainly delivered ;-). I also admired that Gibson’s character gave a haunted sense of the French and Indian War and its personal close-quarter carnage of the period. I look forward to future feature posts :-). Danke, Michael! Yes, the hand-to-hand combat–I suspect men zoned out and just hacked away to avoid the impulse to run. I’d sure rather die on the field than awake and be hauled to the “hospital”. It’s fun to watch the choreography of a fight scene and easy to forget real people performed the moves once upon a time and many knew they wouldn’t come out of it alive. Especially if you were in the front line. 🙂 I value your opinion, Ruth, so thanks! I would rate it 7/10. Oh I think that’s pretty good I think. I’m curious to see it as I like the cast, esp. Heath Ledger. Not a huge fan of Oliver Stone’s ‘Platoon’. Even if it is one the few war films where the uniforms, weapons, load bearing gear and boots and their wearers look right. The rank insignia, tabs and name tags are where they should be. Kudos to Dale Dye in that regard! It’s hard to build a film around a superbly executed, middle of night “mad minute” firefight illuminated by tracers and the film’s final battle. Dafoe and Berenger are opposite sides of the same coin. Though Berenger is much more crude and comfortable with violence and a batch of fresh, hungry talent. 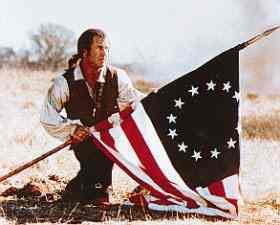 While ‘The Patriot’ is just a class act all by itself. While looking and feeling of that time. Yes, I agree, The Patriot does a fine job recreating the historical climate. Thanks, Jack. Fabulous. I absolutely love this idea for a feature. You have a very keen insight into history and a love for film. It will be cool to see what you have for us in the future. As for The Patriot, well I love it and you brought out a lot of the reasons why. Sure it has its Hollywood moments, but its such a well done production with great performances. Glad to hear the historical environment wasn’t butchered as well. Thanks, Keith! I am happy you like the new feature. There are so few films about the Rev. period. Roland Emmerich is more commercial than I would want, but the masses love his films. Nice clips. A GOOD movie. A unique era. Great character development. Great action. You are right there. I have admired Mel for decades–those blue eyes–his fatherly acting–he’s fallen out of grace and I would love to see him do something special as an actor. As a director, he’s made strides. When I was a kid my favourites were Mel Gibson and Harrison Ford. 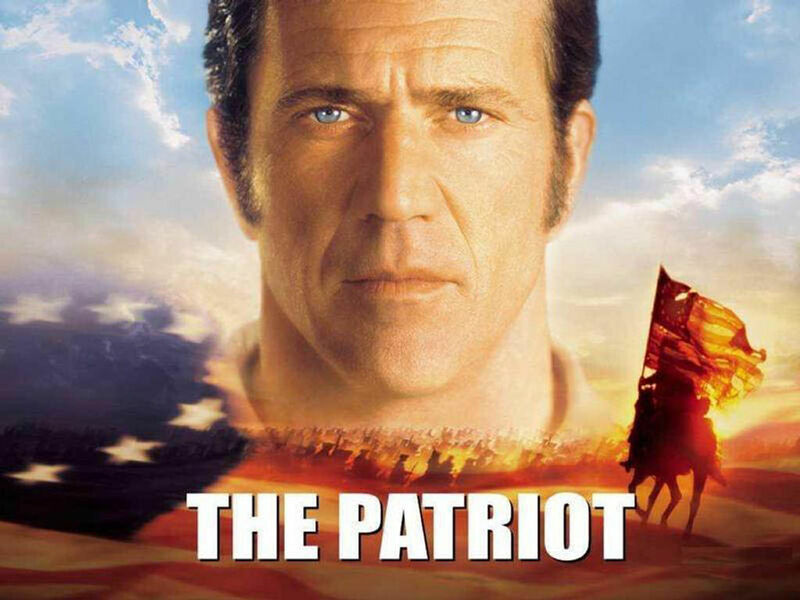 The prospect of a revenge film with Gibson yet again set during the Revoltionary War had me very excited for The Patriot’s release. Despite some impressive action scenes I did not care for it, a Braveheart it was not and despite the contrived nature of We Were Soldiers’ plot moments and lack of character depth I enjoyed it a lot more. Your review though is very interesting and got me thinking it is time for a revisit. I’ve seen the film many times–I show it in the classroom when we get around to the Revolutionary War era. The 15 and 16 year olds really love it. I think that says something about the sophistication of the film. It’s one that has enough accurate historical elements to discuss off of (the military battles, the sides of the war, the reasoning behind the rebellion) but the plot, dialogue, and the one dimensional, evil Col. Tavington, make it predictable and adolescent. I’m afraid as I grow older and have seen it literally twenty times, It’s become more a guilty pleasure. Mel. I sure loved him in many movies like Conspiracy Theory, Hamlet, The Bounty (oh! he was beautiful), Forever Young, and Man without a Face. And then the fall. He’s one I wish had a comeback and all was forgiven. Man I would have loved to have watched a Mel Gibson for school when I was a kid although I did enjoy Quo Vadis with Deborah Kerr. Come to think of it we watched Gallipoli with Mel Gibson for school after all. A great war film. Old Mad Mel, it’s regrettable some of the things he’s done but I enjoyed Get The Gringo and happy for him to rise again too. Forever Young was a great little movie, seldom a star vehicle like that is made now with all the brand name franchises and remakes. I didn’t see Get the Gringo. You liked it, though, so maybe I’ll rent it. If you enjoyed Payback, it should pass the grade.